Henry Edridge developed a popular kind of elegant full-length portrait drawing. 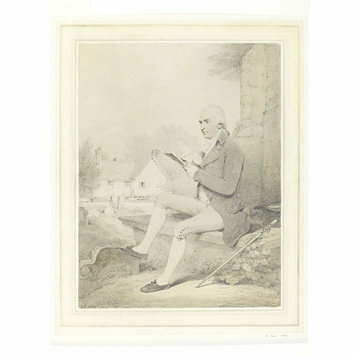 He had first exhibited as a miniaturist, and he employed the miniaturist’s technique of delicate watercolour stippling in the faces and hands of his sitters. This portrait represents Edridge’s friend, the landscape watercolourist and topographical draughtsman Thomas Hearne. 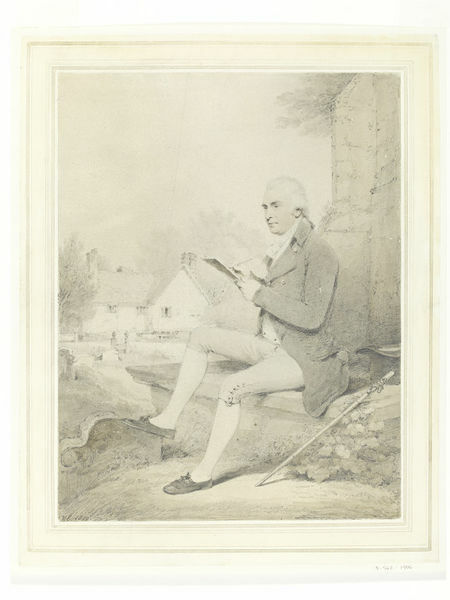 Henry Edridge (1768-1821), portrait of the watercolourist and topographical draughtsman Thomas Hearne (1744-1817), draughtsman, 1800. 13 x 10.